Bay Shore Used Auto Sales, Your Smartest Decision. Finding a quality auto dealership isn't always easy. When you do find a reputable dealer like us, you'll never feel the need to use anyone else for your car shopping needs. 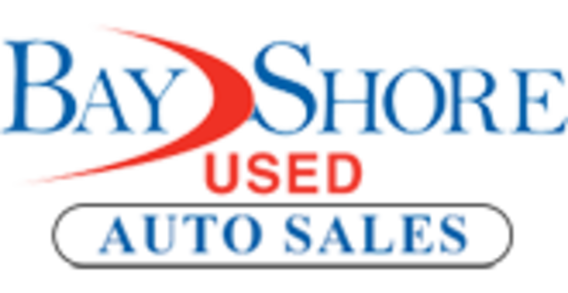 Welcome to Bay Shore Used Auto Sales serving Virginia Beach, Norfolk, Suffolk, Portsmouth, and Chesapeake, VA.
Our goal is to make your car buying experience the best possible. Bay Shore Used Auto Sales's virtual dealership offers a wide variety of used cars. Conveniently located in Virginia Beach, VA and we also serve Norfolk, Suffolk as well as Portsmouth and Chesapeake. If you're looking to purchase your dream car, you've come to the right place. At Bay Shore Used Auto Sales we pride ourselves on being the most reliable and trustworthy pre-owned dealer around. Our inventory is filled with some of the sweetest rides you've ever seen! It's a lot to wrap your head around but at Bay Shore Used Auto Sales we do our best to make the car buying experience an easy one. We're the kind of Virginia Beach, VA car dealer that helps you decide exactly what you're looking for. We won't ever make a sale that our customers will end up being unhappy with. We're proud to be the type of Virginia Beach, VA dealer that strives for 100% customer satisfaction. We are the Virginia Beach, VA and Suffolk, VA auto financing company that caters for a whole variety of clientele. We understand that all of our clients have different financial situations and have done our best to ensure that our cars come in a variety of different shapes and sizes, and that their price tags vary as well. We have an amazing selection of pre-owned vehicles that are just fantastic. Because our customers are so important to us, we'll also take the time to find you some great financing options if you need them. At some point in our lives we all need a little financial boost, and at Bay Shore Used Auto Sales we do our best to find a reasonable loan that enables you to purchase the car you've always dreamed of. If you would like to get in touch with us please don't hesitate to give us a call at (757) 932-8300 or stop by for a visit.